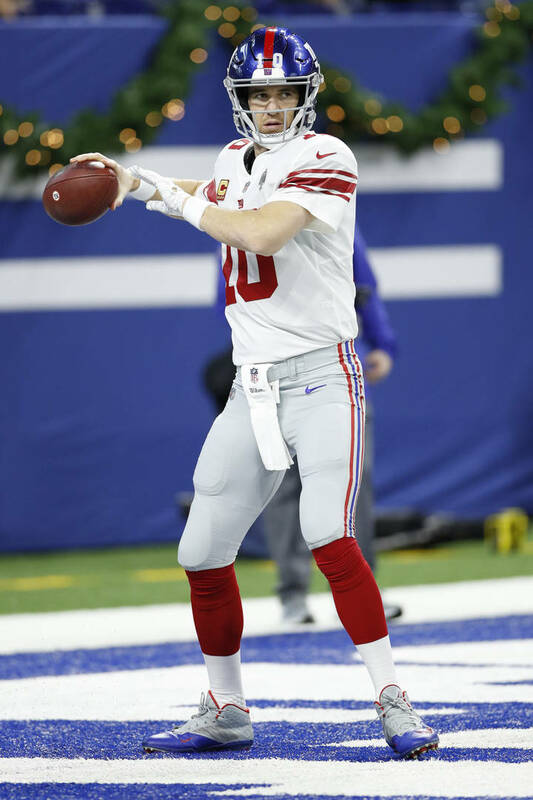 Despite winning two Super Bowls with the New York Giants, both against the mighty New England Patriots, Eli Manning hasn't exactly been an "elite" quarterback. He led the team to a dismal 6-10 season this year, placing them last in the NFC East. The Giants have struggled over the last few years and a lot of it has to do with the sheer number of interceptions Manning tends to throw. He's not the same QB he used to be and fans have become fed up of the talent that has been squandered. Even with these sentiments in mind, Giants general manager Dave Gettleman doesn't seem to care. "Eli is still a quality NFL quarterback. It wears me out, it really does," Gettleman said via the Giants website. "Obviously he's 38 years old. Anyhow, the bottom line is, yes, we have to address it. It's reality. So, when the time is right we will." Gettleman continued to defend his quarterback by saying that reports of Manning's demise are greatly exaggerated. "At the end of the day, you can't win without a quarterback. We all know it," Gettleman said. "It's just the way the game is built. You have to have a quarterback. I really believe there has been a false narrative out there that Eli is finished, he's done. He had a heck of a year. We scored a lot of points late. But, at the end of the day, Eli can still make all of the NFL throws. He can still play."